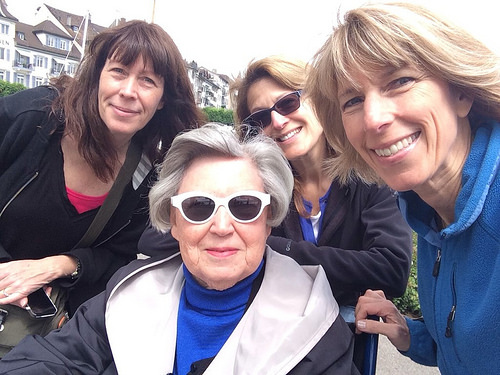 Last week I traveled to Zurich and the surrounding countryside with my mom, two sisters, and brother-in-law where breathtaking views greeted us at every turn and Swiss chocolates, brezels, and local produce—everything from strawberries to green and white asparagus—treated our taste buds. My sister and brother-in-law are living a short walk away from Lake Zurich. It’s filled with boats, ducks, and swans, and on weekends, the lakefront buzzes with activity. 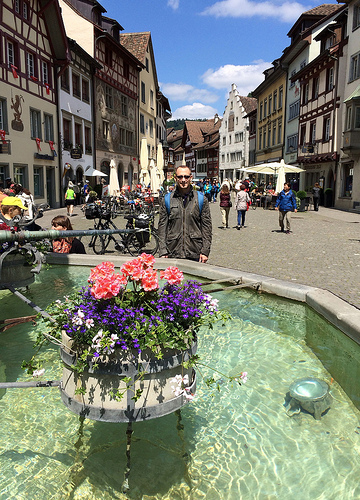 We spent the first few days touring the city and nearby town of Rapperswil and sampling the local cuisine. (Those are my sisters, Amy and Marian, in the photo along with my mom.) My mom takes a mean selfie. Everything in Switzerland is pretty. 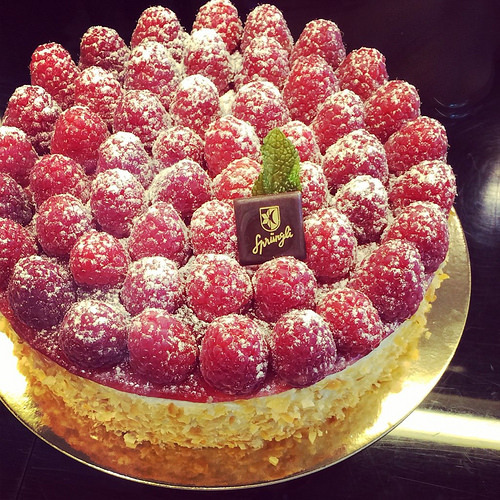 And if you happen to walk into one of the many Sprungli candy stores, you’ll find an impossible-to-resist array of chocolates, pastries, and freshly-made sandwiches. I brought back a box of chocolate-covered orange slices. 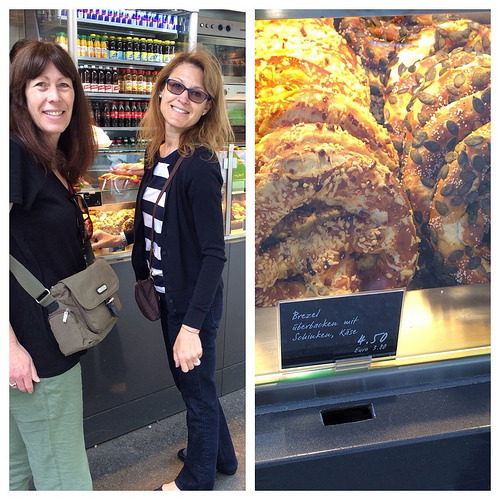 If you love carbs, you’ll want to try a brezel while you’re in Switzerland. They’re one of the popular street foods in the region; soft, chewy pretzels that come with interesting toppings like roasted pumpkin seeds. The Swiss love their chocolates. 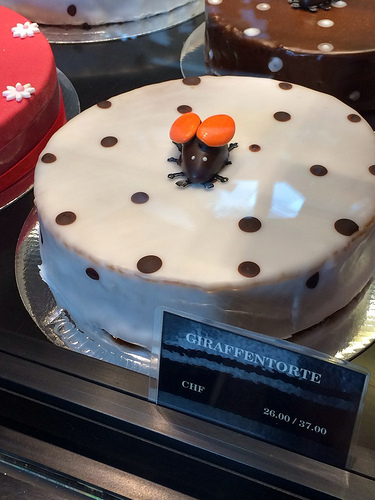 This time of year, you’ll find chocolate May beetles everywhere. My sister told me that over Easter, the stores were filled with chocolate bunnies and eggs. I wonder what they’ll have this summer. 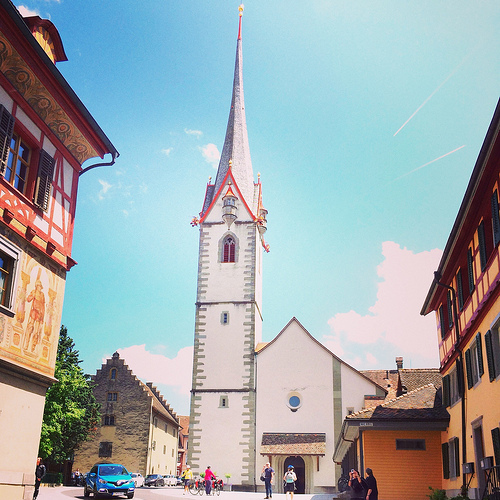 The town of Rapperswil is a 30-minute drive from Zurich. 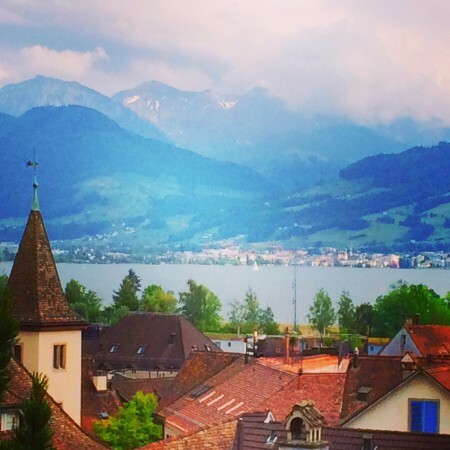 This view from Rapperswil Castle looked like something out of a fairytale. Gotta love those Swiss Alps. 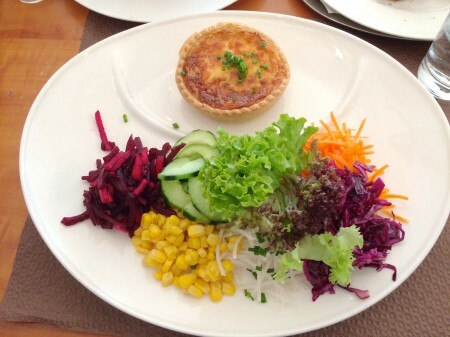 In Rapperswil, we had lunch at the Burg Cafe for quiche and salad. Everything was fresh, local, and delicious. I’m a country girl at heart, and I absolutely adored visiting the medieval town of Stein am Rhein (located on the border of Germany). That’s my brother-in-law, Jim, hanging out by the main fountain. By the way, the water that comes out of all the fountains that I saw in Zurich and the surrounding towns was perfectly AOK to drink. 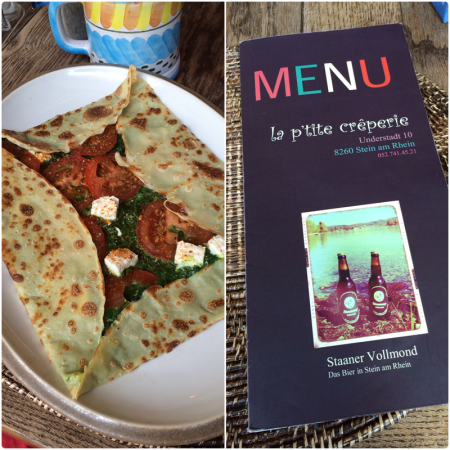 This tomato, spinach, and feta crepe from la p’tite creperie was a nice change of gastronomic scenery from the vegetable quiches I’d been eating all week. Loved it!! Stein am Rhein: Is this place really real!? Look what we picked up on our drive back to Zurich. 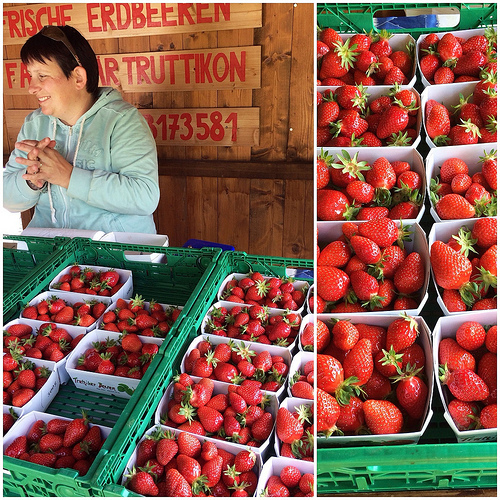 Local, organic (AKA bio) strawberries. 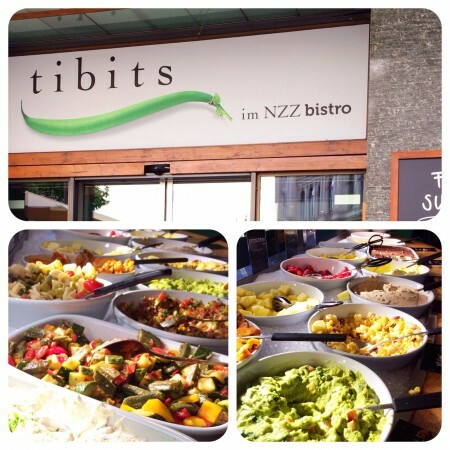 Tibits is one of my sister’s favorite restaurants. The vegetarian-only buffet features an amazing variety of non-meat dishes like guacamole, corn salad, and roasted veggies, which surprisingly, included okra. 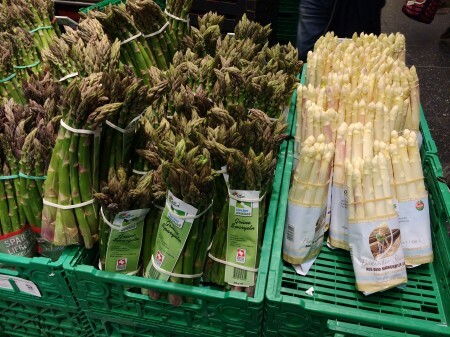 Local asparagus was featured prominently on every menu in Switzerland during my visit. 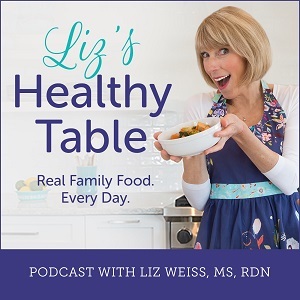 It’s in season—both the green and white varieties—and the fatter the stalk the better! 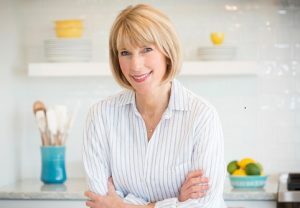 I’ll tell you more about the local asparagus, the asparagus dishes I devoured on the trip, and share a new recipe for Springtime Asparagus Quiche in my next blog post. 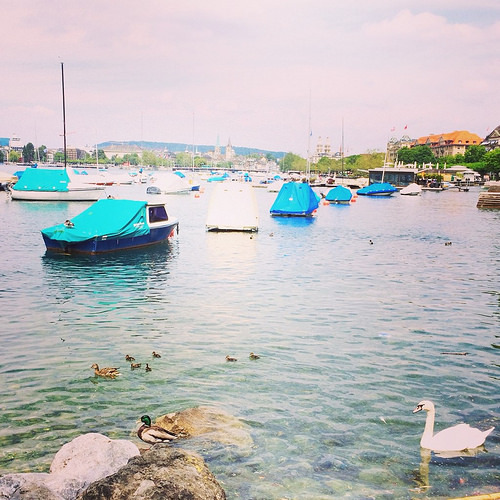 First trip to Switzerland (Zurich) was when I was 15 years old and we stayed with neighborhood friends who wets Swiss and also had a house in Zurich. Great trip! Second time in Switzerland, got engaged in Montreaux 🙂 Third time, went back to Montreaux w/ my parents & hubby’s parents. Next trip? Skiing in Zermat hopefully! What a wonderful trip!!! 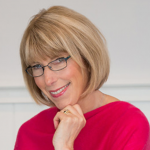 You are one lucky lady! !